Mansur Gavriel is a newer brand that I recently came across with its high quality, Italian made products with great attention to material, colour and detail. I’ve noticed how intense their designs are and how each of their bags and shoes come in an array of colours so you don’t have to choose from only a few each season. Mansur Gavriel is designed in New York City and produced in Italy, after being founded by Rachel Mansur and Floriana Gavriel in 2012, so it is only just a couple of years old. The brand has quickly shot to fame with their famous Bucket Bag being featured all over social media and on the arms of A list celebrities, but I wanted to showcase some of their best Summer bag designs which I think we all need in our closets! I’ve chosen the colour palette of blush pinks and deep reds as these are the shades which are really going to pop in the coming months. 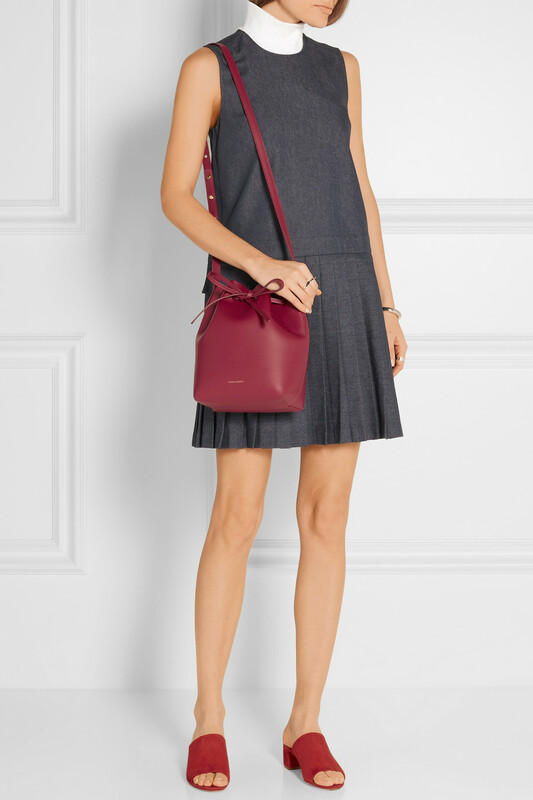 From backpacks to totes and cross body to clutches, there’s 6 Mansur Gavriel bags here that are ideal for every woman! A bucket bag is definitely on my wish list and it’s in this gorgeous Rococo colour along with the Rosa backpack! Which one do you love? Let us here at Fashion Runway Blog know!